I zipped from shelf to shelf, scanning books, picking them up, putting them down. And then at the back of the shop I spotted a display with the intriguing sign, ‘Funny Female Authors’. Hmm. This drew me in. There were no signs for ‘Funny Male Authors’. Are funny women so rare that they required their own signage? But so unpopular they have to be consigned to the back corner of the shop? Well, this was the display for me. I did a quick dash – 4 minutes now til closing – picked up some books and managed to pay without grumbling to the cashier about the ‘Funny Female Author’ sign. To be fair, it worked on me as I bought three of them. So here are the novels I chose, plus some other funny books by female authors. Of course, there are lots of funny books out there full stop, but after my experience in the book shop I wanted to shout about these clever, witty, wonderful books by women. Now, as the summer turns to autumn, I feel I need a bit of laughter. And as this is also a time when lots of you will be ‘new’ in a country, it’s a good time to pick up a book that’s going to cheer you up rather than make you cry. Although that’s the funny thing about funny books…they often do both. 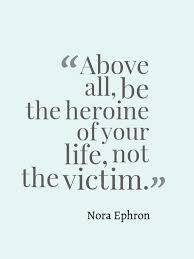 Nora Ephron was the brilliant writer responsible for, amongst other things, When Harry Met Sally. This book had been on my radar for a while…and then there it was, on the top of the pile. It was fate. This is a really, really funny novel. It’s about the break up of a marriage, and it’s based on Ephron’s life. Yeah, doesn’t sound like great comic material, but it really is. Ephron’s mother gave her the famous quote, ‘Everything is copy’ and she talks about how she manages, with this novel, to turn a tragic event into a comedy. ‘…I’ve noticed, over the years, that the words, ‘thinly disguised’ are applied mostly to books written by women. Let’s face it, Philip Roth and John Updike picked away at the carcasses of their early marriages in book after book, but to the best of my knowledge they were never hit with the thinly disguised thing’. But I think to dismiss this as a ‘light’ novel is to do it an injustice. Ephron is funny and wise, witty and warm and, even in the depths of despair, refuses self pity. And, as a friend pointed out to me, the ending is written beautifully – the perfect last line. I’ll say it again – how had I not read this before?!!! I love Carrie Fisher for so many things, not least her honesty and outspokenness on mental health issues. But this book – it’s so good! It’s the account of a Hollywood actress in rehab and it is fast paced, incredibly frank and funny, funny, funny. The striking thing about this book is how Fisher’s intelligence and emotional understanding shines through – she is incredibly perceptive and reading this novel you just feel like you are in wonderful company. And then you finish it and feel so sad that she’s no longer with us. This book spoke to me, mainly because of the title – I know so many excellent women – and the fact that Philip Larkin (my favourite poet) is quoted on the back as saying ‘I’d sooner read a new Barbard Pym than a new Jane Austen’. High praise indeed. ‘If it is a mark of a great novel that it should help us to feel for others, that it should touch our human capacity for sympathy in an important way, then Excellent Women, a novel that on one level is about very little, is a great novel about a great deal’. The above books are the three that I picked up on my smash and grab and the bookstore (well, there was no actual smashing and grabbing). Once I started thinking about this I couldn’t stop – there are so many great, funny books written by women. Here are a few of my favourite funny books by female authors – I have focussed here on novels rather than autobiographies which I will cover in a later post. But this novel is so much more than that – the writing is whip-smart and relentlessly witty. But there is something darker beneath the humour, a real sense of melancholy. This is not a book with a ‘big heart’ – Mitford pokes fun at everyone and everything – but its brittleness has an undercurrent of sadness. I think it’s this duality that made a lasting impression on me; well, that and all the sparklingly funny dialogue. This is the literary equivalent of comfort eating. I loved this and read it in one night – as did practically every woman I know. The subsequent books didn’t do it for me, but this one has a special place in my heart. I am sure everyone reading this will have already read it, but it is definitely a book that will stand up to a re-read. My sister recommended this to me, and I think it will strike a chord with anyone who grew up in the 90s. It is very honest, very rude and very, very funny. This is a book with a big heart and a wonderful, lovable main character. I mentioned that funny books often make you cry too. Well, a good example of this is ‘Eleanor Oliphant is Completely Fine’. This is our Expat Book Club book of the month for September and it is a real joy to read. I included it in my Summer Reading round up, and am adding it here again because it’s so funny, and because I wanted to share our book club choice. The Expat Book Club is for women living overseas who love to read – we’re on Facebook, Instagram and Twitter. Wherever you’re from, wherever you’re living, if you are a book lover then you’re welcome here! As I re-read this post I realised that all these books have strong, resilient women as their central character. These are characters who, in different ways, go through difficult experiences and come out the other side. And they are better for it – or, if not better, wiser. And I suppose that’s why they have all struck such a chord with me. Great recommendations! Caitlin Moran is so, so funny! Maria Semple also writes funny books. “Where’d You Go, Bernadette” is a must read. I just read “I Feel Bad About my Neck” by Ephron–and my kids kept asking me what I was laughing about–like when she discovers she’s buying jeans in the same shop as Nancy Reagan… But for all the humor it left me feeling really sad–I brooded for a coupe of days before starting the next book! As for Eleanor Oliphant, I read that on your recommendation and thought it was truly funny! Looks like I’ll need to check out the others.